The infringement of a trademark is a serious problem for any business. A trademark is your company’s means of “public identification,” a ubiquitous name or symbol that instantly brands your company in the public consciousness. People instantly recognize successful trademarks like Coca-Cola’s red script, the McDonald’s golden arches and the UPS’s brown uniforms. A trademark is a unique, exclusive name or symbol that makes consumers think of your company and product the moment they see your mark. When other companies copy your trademark or use it without permission, it can damage your brand’s reputation. Our Los Angeles trademark lawyer can help put a stop to misuse of your valuable brand and image. Our office is based in Beverly Hills, CA. Call the office of Klein Trial Lawyers to speak with our trademark infringement attorney in Los Angeles California. What Can I Do To Protect My Trademark? Trademark infringement refers to the illegal use of exclusive rights attached to a trademark or the violation of any trademark usage without the authorization or agreement of the trademark owner. It also happens when the other party or the infringer uses a trademark that is almost similar or so identical to the actual trademark that it causes confusion to the owner of the actual trademark. Moreover, it also covers similar services and products which the registration insurances. How Trademark Infringement Hurts Your Business? Trademark infringement confuses the public as to the nature of a product or company. They may believe the infringed trademark belongs to your company, when, in fact, the entity stealing the mark is selling its own goods or services. Major corporations such as Disney, Gap and Apple spend millions protecting their trademarks from ‘knock off’ merchandisers who usurp their trademark’s success. When these merchandisers sell inferior products or provide inferior services, the poor quality reflects on the trademark’s rightful owner. There are many people around the globe who set their standards for certain brands and every time they think of buying a product, they go straight to their specific brand shop, be it online or so. But when the infringement trademark is in the market, the credibility of the original trademark may also be questioned and a lot of businesses are hurt on a large scale. This all can be prevented and rescued if you hire a well-practiced and a professional Trademark infringement attorney from Los Angeles. How Can I Prevent Trademark Infringement? Protecting your company’s trademark from infringement is paramount to maintaining your company’s public ‘good will,’ a market presence that you cannot afford to tarnish. Still, protecting your trademark can be a daunting task, especially when dealing with national or international trademark theft. Robert G. Klein is a Los Angeles trademark attorney with decades of experience in protecting company marks and litigating copyright infringement lawsuits. He has been practicing as a Trademark infringement attorney in Los Angeles CA. He can guide you through the process of trademark registration and protect it from theft and abuse. He can take action against companies that knowingly or unknowingly use your mark. If your company sustains monetary damage from trademark theft, he will do all he can to help you recoup all lost revenue via trademark litigation. If you are not sure whether you are actually a victim of trademark infringement, you can get help from a trademark attorney who offers free consultation. 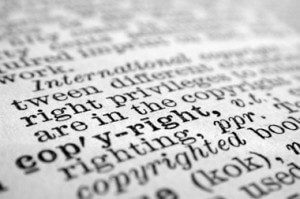 Some of the best infringement attorneys in Los Angeles CA cannot only save you from the business loss but can also guide you on what steps to take to fight for your trademark. Act fast and get help from a Los Angeles Trademark Infringement Lawyer right away. If your company has been the victim of trademark infringement, contact Robert G. Klein of Klein Trial Lawyers, who will work to protect your trademark and ensure your company’s continuing positive public presence. Contact us by calling (323) 405-1002 to speak with our Trademark attorney in Los Angeles CA, or use the contact form on the side of the page to schedule a Free Consultation with our Trademark attorney in Los Angeles CA..